Collins Booksellers - Pulutan! Filipino Bar Bites, Appetizers and Street Eats by Marvin Gapultos, 9781462920365. Buy this book online. 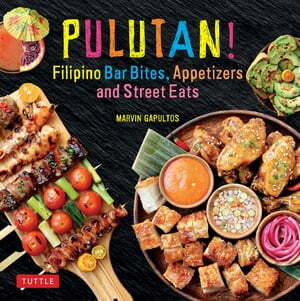 In his new cookbook, Marvin Gapultos shows you how to eat and drink like a Filipino with a range of easy Pulutan recipes. The recipes are easy to follow and use ingredients readily found in any supermarket or Asian grocery store. What's more, as a Certified Cicerone(R) and craft beer professional, Marvin also provides perfect beer pairings for each dish so you can elevate your Pulutan experience to the highest degree.